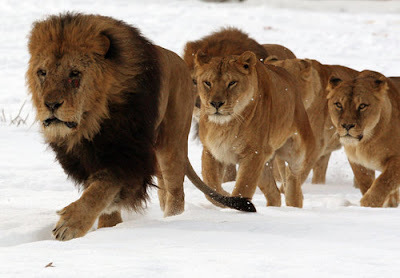 A pride of lions walk through the snow at Blair Drummond Safari Park near Striling, Scotland on Monday January 4th as temperatures continued to fall throughout large areas of Britain for the past week. I've never really considered whether there might be zoos or safari parks in the United Kingdom, but this picture was really gorgeous to me. Thousands of locks of love hang on the wall of a terrace of Seoul Tower on Mount Namsan in Seoul, South Korea. Young couples hang their locks of love and throw away the key in the hope for eternal love. I wish it were that easy. Maybe when I think I meet the right person, I'll hang one of these somewhere special. 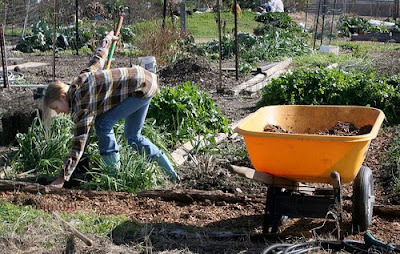 Amber Drown gets a little dirt under her fingernails as she tends to her garden plot at Sunshine Community Garden. Mz. Drown, who will begin teaching at a local high school this year, has had the plot for two years. "It's metaphorical," she says of growing plants and growing minds. 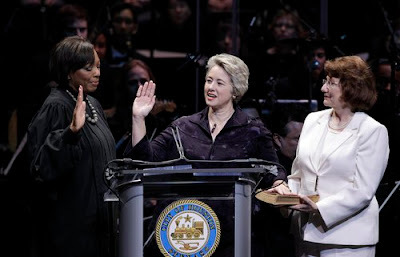 Annise Parker was sworn in as mayor of Houston this year. She was accompanied by her partner, Kathy Hubbard, who was holding a family Bible that belonged to Annise's grandfather. Houston is the largest U.S. city to elect an openly gay mayor. Progress is a good thing. Someday we might judge people by the content of their heart instead of the where they are from, what they look like, or who they chose to love. Here sits an Indian shaman. 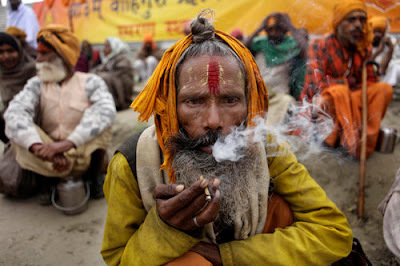 Hindus are celebrating the month long fair Magh Mela. The right to worship as we each please without fear of persecution from those who don't believe the way we believe is the main basic human right that is being oppressed across the globe still to this day. Freedom, one day, freedom. 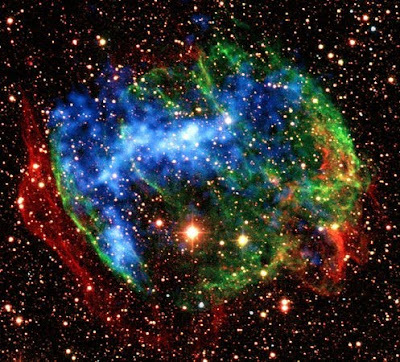 This image from NASA on December 30th shows a combination of infrared images in the supernova, W49B, from the ground (red and green) with X-ray data from NASA's Chandra X-Ray Observatory. New studies using a Japan-USA observatory have revealed never-before-seen embers of the high temperature fireballs that immediately followed the explosions of the supernova. This makes me rethink if there is something bigger than all of us out there or if this is just a natural occurrence in the universe. For the love of myself, I just don't know; but I am leaning towards something grand having a "hand" in all of this. I feel like the smallest mote of motes. Just some random photos I came across. On this, the beginning of the new year, I just wanted to pause and reflect upon what I hope for in the near future and some of the beauty both natural and optional that makes this world a great place to be in these days.. This was a great post... a really unique way to look at the new year. I loved everything about it :).